Cyanovisions is a series of living and non-living art works and short film that considers our relationship to our changing environment, ecosystems and microorganisms. These works focus on the global environmental phenomenon of harmful algal blooms of cyanobacteria as intertwined with human development and waste, and the increasingly biotechnological landscape of earth. Cyanovisions delves into what it means to be alive, the earth as an organism, and questions what life human societies deem as valuable. It explores life as a complex systems on micro and macro scales, climate change, and hopes to redefine our perspectives on microbial life, an our impact on the ecosystems we inhabit. As the science of one age is often the mythology of the next, Cyanovisions aims to blur the lines between science fact and fiction, and to imagine more symbiotic and multi-species futures. 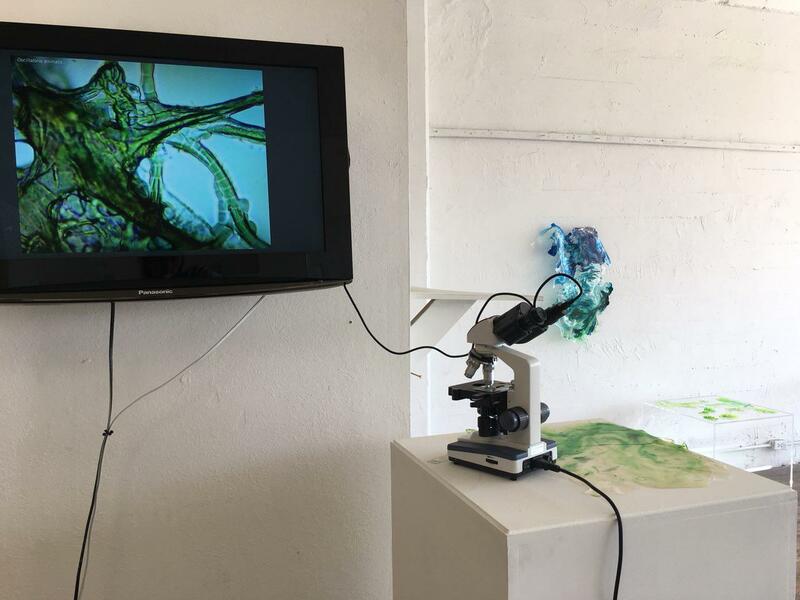 Cyanovisions hopes to reposition our relationship to cyanobacteria by showing the beauty of it's different forms and highlighting the evolutionary history of these organisms - viewing them on a geological timescale versus a human timescale. It questions what is perceived as toxic as the aggregations of this ancient intelligent organisms could very well be an attempt to bring ecosystems back into balance. 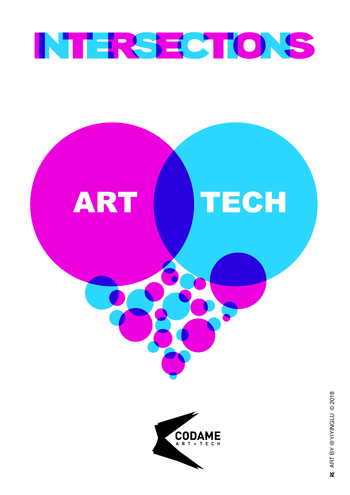 Support ART+TECH and become a sponsor or partner. Thank you for your support for ART ♥️ TECH !! !